We at HiTech Blinds enjoy coming to work each day as we’re excited to offer you great quality blinds at an amazing value. Everyone takes pleasure in life’s little luxuries and we want you to experience this through the amazing transformation the HiTech Blinds can make. All of the directors have decades of industry experience and after seeing fads and trends come and go, it was clear that blinds within glass was the future and we wanted to be a part of it. 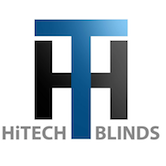 HiTech Blinds was ‘born’ and we have been making customers happy ever since. Quality has always been at the forefront of our business and delivering value for money is also an essential component. Our products are specifically selected with this in mind and the HiTech range of blinds fit the criteria. The HTV Blinds are tested to 10,000 repetitive cycles on both lift and tilt functions which to our knowledge, is unique in the UK to HiTech Blinds. Watch the test video here. Because we are so confident in the quality of our products we are happy to provide a 10 year guarantee on BOTH the sealed unit and the blind mechanism. This is double the industry standard! If you are interested in HiTech quality at an affordable price then please contact us either by email, live chat or phone and we can’t wait to see the transformation our blinds could make to your home. Retail Customers: We offer supply and install (recommended) or supply only. Trade Customers: We offer supply only (recommended) or supply and install. Sealed Unit Manufacturers: We offer made to measure Kits which can be inserted into your units. Full training is provided.